Did you know that the immune system’s army is in the stomach? And to keep the army healthy, you need to feed it good nourishment. Our immune system does an incredible job at protecting us from all those pesky germs that want to invade our body. But sometimes, germs pass by it and we get sick. Thankfully, it is possible to intervene and give the immune system a helping hand. 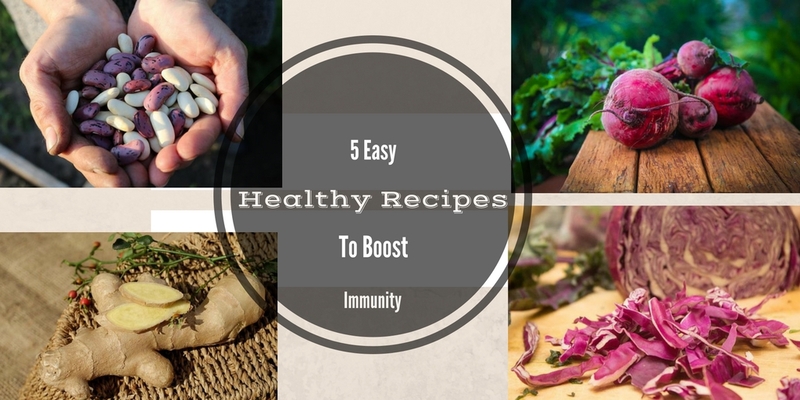 In this article, I share you easy recipes to boost immunity and help you fight those nasty germs and colds. 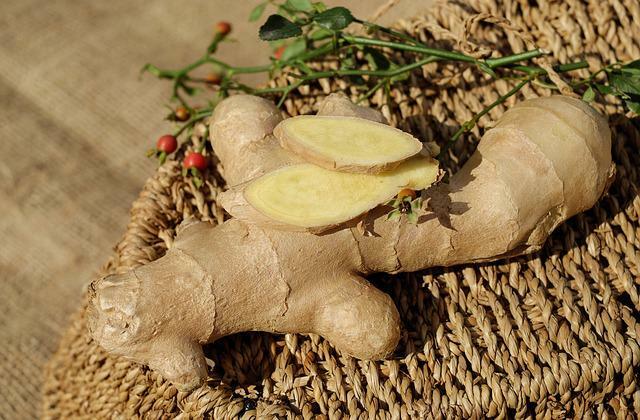 Ginger is a well known antibacterial food, which has anti-inflammatory properties, eases gut problems, and even kills cancer cells. Boost its anti-inflammatory proprieties with a dash of cinnamon and a handful of spinach and you’ve got a new favorite breakfast. Start by blending the spinach with milk until smooth. Then add the rest of the ingredients and blend again. It makes two servings. If you are not used to spices, start with using just a bit of ginger and skipping the cardamom. You can also swap 1 cup of milk with 1 cup of yogurt. 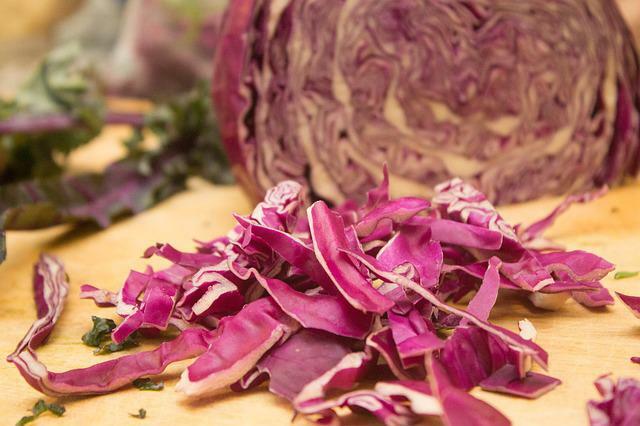 Freshly picked red cabbage has the highest concentration of flavonoids/antioxidants of all other cabbages. Add in blackberries, with their high vitamin C content and antioxidants, and you’ve got an excellent smoothie for when you are fighting a cold. Need more fighting power against the cold? Bring in the elderberry, which is also high in vitamin C.
Start by blending the red cabbage, water, and orange until smooth. Add the rest of the ingredients and blend again. The weird looking pineapple has a lot of health benefits. It helps cure colds, improves digestion, reduces inflammation, protects against cancer, and helps keep your immune system in perfect shape. Add some yogurt into the mix and you have a great breakfast or snack to keep you healthy. In a bowl (or large glass), add the yogurt and the pineapple on top. Sprinkle some seeds or berries. You can replace the yogurt with cottage cheese and the pineapple with papaya, which is also known to help the immune system and prevent cancer. 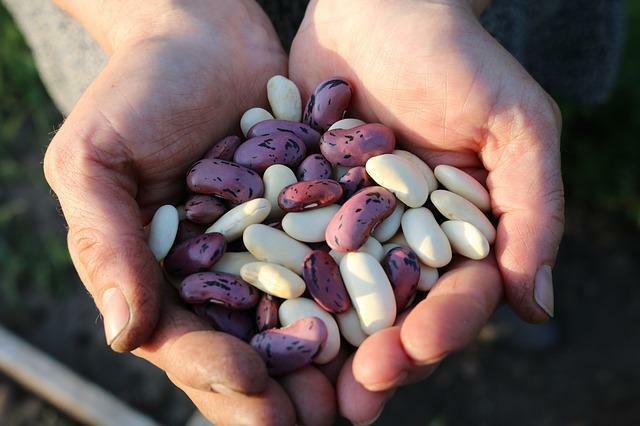 High in fiber, antioxidants, vitamins, and minerals, beans are a powerful tool to keep us healthy in the long run. They are also very affordable and can be turned into delicious dishes. Add to the mix onions, which have powerful antioxidants and the ability to enhance your digestive system, and this soup should be part of your fail-proof recipes to live a healthier life. Boil the water in a kettle. Start by heating the oil. Then add the onions, celery, and carrot. Cook until smooth (about 5 minutes). Then add in all the other ingredients. The cooking time depends on the beans and may take up to 2 ½ hours. Make sure to add water as needed. Beets are known to lower blood pressure, improve stamina, fight inflammation, protect against cancer, and are a good source of vitamin C, too. 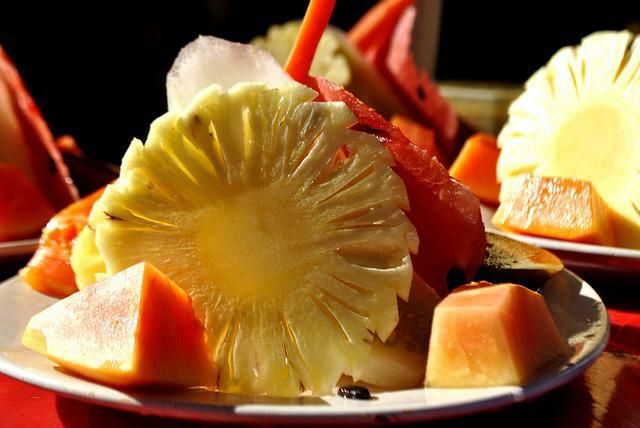 No wonder they are known as one of the healthy foods you should eat on a regular basis. If you prefer to use boiled beets, then do that before you make the hummus. Once completely cooled, grate it or use a food processor. In the food processor, add the chickpeas, olive oil, lemon juice, and garlic. Then add the tahini (or paprika). Now you are ready for the beets. Add them in and mix well. If you don’t have a food processor, you can use a vertical (immersion) blender to make the hummus. And then just add the grated beets. 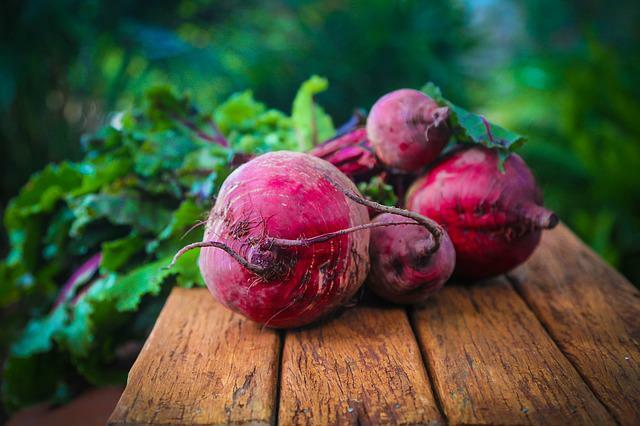 A more earthy taste can be obtained if you use raw beets instead. This is a contributed article by Cris Puscas.